The first artist to participate in this program was Jaipur based Ujjwal Agarwal aka KʌLʌ. Watch the video below to find out more about his experience and his personal and musical transformation. 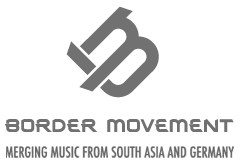 BMR is a collaboration between Border Movement, Goethe-Institut, Ableton, Wild City and Musicboard Berlin.